LYNNPD EXCLUSIVES: Attending the People's Choice Awards = "Fail"
Attending the People's Choice Awards = "Fail"
Well, I suppose there's a first time for everything. 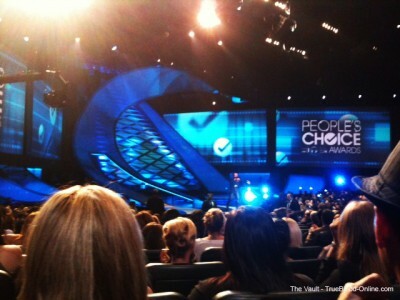 Last night I attended The People's Choice Awards and, for me it was a total bust. The only highlight of the night was that my sister and my niece, who are visiting from Philadelphia, thoroughly enjoyed themselves and liked seeing all the stars. My sister is a Johnny Depp fan, so she was thrilled and my niece loved watching how the show was put together and seeing all the stars. However, even she didn't know who half the stars were. I, of course was only there to see Stephen Moyer. After a long fight with Los Angeles traffic, we got to our seats just before the show started, and all was well. For us, who were in the audience, the show didn't seem that bad and I sort of took it all in stride knowing that maybe I'd see Stephen. He was sitting down in front behind Zac Efron. 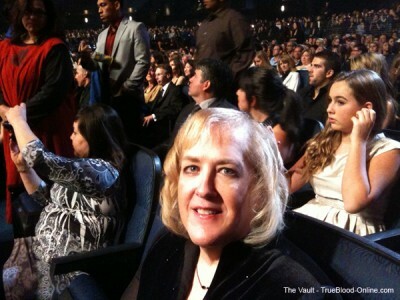 During the commercials everyone got out of their seats and it was chaos. Lots of people ran down in front hoping to visit with the stars. So, during one of the commercials I too tried since, even though I couldn't see Stephen Moyer, I knew where he was since Zac Efron had just accepted his award and therefore I knew the location. I went down the aisle with the crowds and was abruptly stopped by one of the guards. They decided just at that moment that no one could come up to the front anymore, so I had no choice but to turn around and go back to my seat. 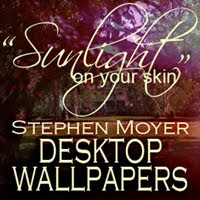 When Stephen presented, I screamed out his name as did most in the audience. He looked great, which of course I fully expected, and announced the award, and it was over, just like that. Then, before I knew it they said that the last award was given out. Wait, I thought, what about the awards that True Blood was nominated for? They hadn't announced them? I really thought that was the reason that Stephen had come anyway, to represent the show. And, just that abruptly again, it was over. After some thought, I'm now guessing that the show ran long and they didn't have time to announce those particular awards. After we left the theater, we waited outside where all the limos were hoping to get at least a wave of hello. We stood there with a bunch of people for about 1/2 hour but no one came out and then I saw a friend who said that everyone had already left. So, sadly we too decided to leave. I've been lucky with all the events I've attended so far while representing The Vault and AllStephenMoyer.com. Every other event I've gone to has been successful in some way and getting the opportunity of meeting all the True Blood cast and crew has been wonderful. So, although this one was a disappointment for me, I really can't complain. 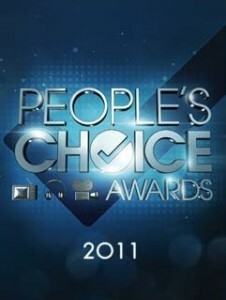 One thing I have learned though is that I won't be attending The People's Choice Awards again. In my opinion, I say, let the critics keep choosing the winners, they at least know what they're looking at. When the Kardashians win an award there is seriously something wrong.